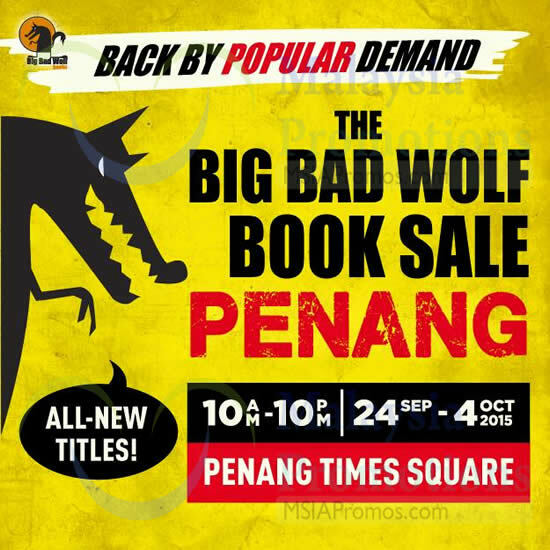 The Big Bad Wolf will be having a Book Sale at Penang Times Square from 24 September to 4 October 2015, 10am to 10pm. Find children’s books, all genres of fiction, references, resources, biographies and other mysterious treasures. 5% additional discount for Hong Leong Credit Cardmembers. Sales on 24 Sep – 4 Oct 2015.